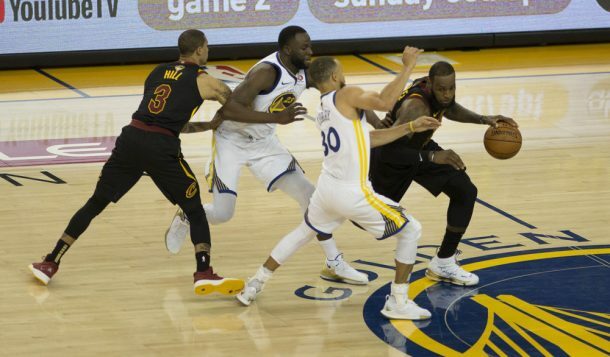 The Steve Kerr NBA Golden State Warriors Crunch Time Plays are some of the best set plays that Coach Kerr used all season to score at the right moment. That’s why I call them the: Steve Kerr NBA Golden State Warriors Crunch Time Plays. We all now that there are certain times in the game that you need to score to get the momentum. 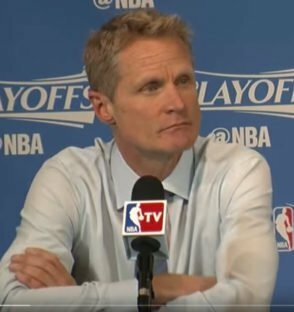 Steve Kerr never thought that the 1995-96 Chicago Bulls 72 win record would ever fall, least by a NBA Golden State Warriors team that he was coaching. He also didn’t think that he would play in the NBA either. He never dreamed that he would last so long in the NBA. He thought that he would get cut, go back to Arizona, work under Lute Olson, learn the ropes to being a college coach and that was it. He never dreamed that he would play 15 years in the NBA. Steve Kerr was like anyone, he was going to plays for as long as he could. Playing is more fun than coaching to him. You make good money playing, but he was 37 when he retired from the NBA. He was already deeply entrenched in the NBA and the college coaching stuff was out the window. He was thinking much more about NBA coaching. He also knew the sacrifices that you make when coaching in the NBA, and his kids were 10, 8, and 5. That’s why he went into broadcasting. He wanted to be home with them. I was always going to play for as long as I could. I mean, there’s nothing like playing. Playing is more fun than coaching. Obviously you make good money, and all that. I was always going to play as long as I could. I kind of surprised myself by playing as long as I could, and I was 37 when I retired. By that time, I was really deeply entrenched in the NBA, and the college stuff had sort of gone out the window. I wasn’t thinking about college coaching anymore. I was thinking much more about NBA coaching, but I also knew the sacrifices you made. When I retired at 37, my kids were like 9, 7, and 4, or something, or maybe 10, 8, and 5, something like that, and I wanted to be home. That’s why I went into broadcasting. The Phoenix Suns GM stuff basically fell into his lap Robert Sarver was a University of Arizona guy and Lute Olson connected them. He helped Sarver meet David Stern in New York. He never dreamed that Sarver would buy the Phoenix suns. He got offered a consulting positon and that is the path that he took. He got his feet wet on scouting and team building, then got the GM job, but knew that he wanted to be on the floor and not upstairs in an office. He left the Suns to go back to TNT for a reason to get an NBA job. His kids were in high school and junior high, that’s when he went to different clinics, owner’s conferences, being on different panels, talking to Jeff Van Gundy and Flip Saunders. He started to prepare for the next phase of his life.